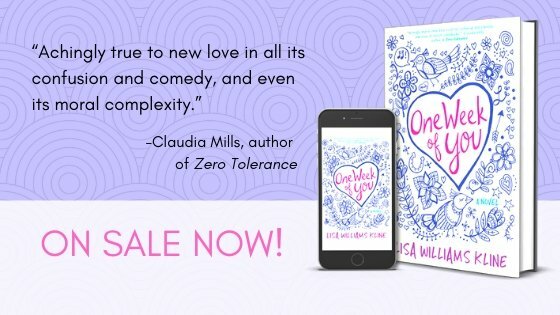 Today is the official release day for ONE WEEK OF YOU by Lisa Williams Kline. 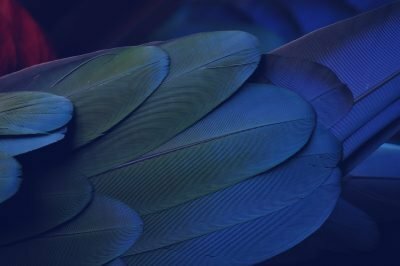 This is Kline’s tenth novel and the first new release for 2019 from our Young Adult imprint, Goldenjay Books. We love a good coming of age story that captures the wonder and heartache of being a teen, and Kline’s ONE WEEK OF YOU had us rooting for Lizzy the whole way. Sometimes it’s hard to find your moral compass when you’re a young adult, and it’s hard to stand up for what’s right—especially when your friends are drifting further towards the wrong. We’re delighted to share Lisa’s new book with you and know that you’ll be just as smitten as we were with her lovable heroine Lizzy. Happy Pub Day, Lisa! Fifteen-year-old Lizzy Winston has always been a good kid—and she sees the good in most everyone else, too. When she meets the charismatic Andy Masters, she starts crushing hard. She’s not used to attention from boys like Andy, and soon he distracts her from other parts of her life that she’s trying to hold together. Her grades start slipping, she makes a mistake that costs her mother her job, and her friends’ actions are making her question what’s right. Andy seems like a great guy. He’s funny and charming, the Clown Prince of Lakeside High. He loves digging up news stories for the high school TV station, but he’s got some secrets of his own. As he and Lizzy get closer, she grows skeptical of his motives. When she does her own digging on Andy, she learns that everyone has secrets—no matter how good they seem on the outside. Someone’s pulling pranks at Lakeside, and Lizzy thinks she knows who it is. When the pranks escalate and put students in danger, she must decide where her loyalty lies. She doesn’t want to get a friend in trouble, but if she keeps quiet, someone will get hurt. In one week, she learns that adulthood brings new, complicated responsibilities—and the line between right and wrong isn’t always so easy to see. Is she ready to do the right thing if it means losing her friends? Learn more about Lisa (and her Lizzy) in her interview with Katie Rose Guest Pryal, and check out her feature in the Lake Norman Herald Citizen.